Are you sick of giving people the boring old candle, coffee mug, or tie? This gift is beautiful and will impress! That’s because it’s a unique personalized gift, and you can get one for just about anyone. So, what am I talking about? A custom watercolor house portrait! The best place to purchase is through an artist right from Massachusetts. Her name is Dori and she does absolutely beautiful watercolor paintings. You will be impressed with her work. She adds so much detail and makes the houses look magical. The BEST part is that the paintings only cost $89.00! That’s crazy inexpensive for a custom hand-painted watercolor house portrait. This gift can be given to just about anyone, at least anyone with a house! Or even someone soon to have a house. It’s also great for people who live in apartments and condos as well. My favorite time to give this custom watercolor home as a gift is as a housewarming present. This is when someone first purchases their beautiful new home, so this a wonderful memory. You can give a custom painting each time someone buys a new house, and they can hand their home collection on their wall. It’s fun to see the different houses over the years. Another person this gift is great for is someone that has a home with a lot of meaning. For example, a grandparent that has lived in their home for 40 years. They most likely are very attached to this home, and this will truly make them smile. If the grandparent has to move into a senior living center, this will be a nice remembrance of their home. Other people this can be great for are first time home buyers. This is because the house will be close to the person’s heart. Also, someone who lives in a beautiful location will love this gift. The watercolor will make the home look even more gorgeous. All in all this gift is perfect for just about anyone (even yourself!) who loves a little creativity and uniqueness! Watercolor painting is a whimsical and airy looking. It is painted using water-based paint, so the brush strokes look more atmospheric and lighter. It has a cozy and creative feel. The house shown above is painted using colorfast paint, and captures small details with a fine brush. These houses are intricate and look fascinating at the same time. They seem to take your breath away just looking at them, because if the beautiful watercolor strokes that make up each section. I like watercolor custom house paintings more than other paint choices. Watercolor makes the house appear more animated and cheery. It has more of a homey feel to it. Other paints can make the house seem dull and boring. But, there’s something about watercolor that brings out the charm in houses. After placing your order to have a custom watercolor house created you will send in images of the house. Sometimes you aren’t sure which image is best for the painting, so you can talk to the artist and see what her opinion is. She will help guide you in choosing the best option. If you already have one specific house image you know you want to use, then you can just send that one. Once you choose the house image you want to use the artist will begin to paint your picture. She will spend time perfecting it and making it look unique. This usually takes between 6 and 10 days. If you need it sooner feel free to message Dori for faster service options. After she’s finished she will show you the image for your approval. If you like it, which you most likely will, then it will be ready to go. If you need small tweaks she can make it to your specifications. After the painting is all set, she will pack it up and send it out to you. Then a couple days later you’ll receive a beautiful custom house portrait in the mail. Dori creatives unique watercolor portraits at a cost effective price. She preciously studied art history, but made her way into painting watercolor portraits. Along with houses she makes amazing animal portraits as well. Her watercolor work captures the textures of the fur and other areas prestigiously. My favorite aspect of Dori’s work is that she pays such close attention to detail. Watercolor paintings can often looks sloppy, but hers never appear that way. She is so meticulous and makes everything look better. I could stare at Dori’s work all day long, and soak up it’s creativity. The best part about giving this gift, is that you will feel good inside. You will feel amazing giving a gift that comes right from the heart, and will be cherished for years to come. Giving creative gifts is wonderful because it shows that you are truly thinking about the person’s feelings and want them to like what you give them. There are so many gifts that are given with no meaning. But, this gift is different. Some people will simply give whatever they see at the store, but it just isn’t personal. Sure, these gifts have their place, but sometimes you need to dig deeper. You need to give someone something that makes them smile and cry all at the same time. Whenever I give a custom watercolor house painting as a gift the person is amazed. They can’t believe I came up with the idea, and they want to know where I found it. This makes me feel great. I love giving people things that they actually love, and holds a unique meaning. Making other people feel as happy as I am is important, and a gift like this is powerful. You can even have a portrait done for yourself, it will be one of your favorite memories. 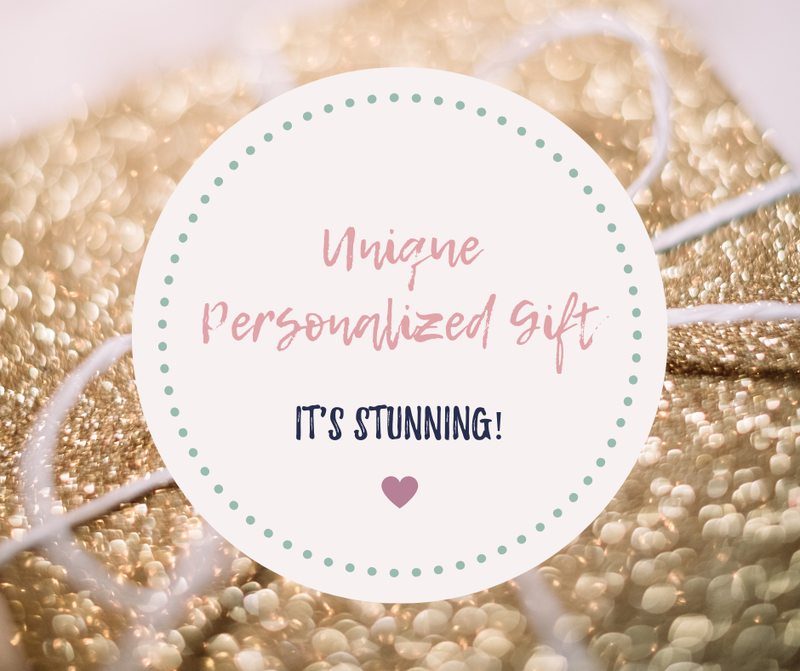 Giving a unique personalized gift can do amazing things for your heart and soul! Have questions? Ask them below, I’m always happy to help. By KatyIn Lady and a BlogTagged cool gift idea, custom gift idea, unique personalized gift18 Comments on Unique Personalized Gift – It’s Stunning! 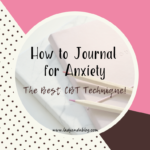 Previous Previous post: How to Journal for Anxiety – The Best CBT technique! 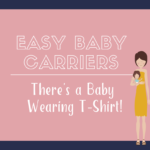 Next Next post: Easy Baby Carriers – There’s a Baby Wearing T-Shirt! It actually comes just in time, my parents in law come for a visit and I have no idea what to give them. Now reading this post, and seeing this personal gift feature, I perfectly know now what to give them. The price isn’t so expensive, I’m happy for that, but I’m confident they will like it. I hope they love the gift! Thanks for the kind comment! I absolutely love this gift idea! I am always struggling to come up with the perfect, unique gift for my husband and my close friends and family. This would be the perfect gift! I also love the idea of being able to get paintings of pets. That would be what I would get for my best friend! Thanks so much for sharing this! Glad I could help you find a nice gift! Hi Katy – what a great gift idea. These water color paintings are definitely unique and personal. This would be a great gift for my parents who have lived in their home for 49 years. I looked at some of the other paintings by Dori and saw that she also does dogs. That would be a great gift for many people as well. Thank you for providing this thought for a great gift. Yes, this would be a great gift for your parents. Her dog paintings are amazing as well! Hello, very good and informative article about unique personal gifts. It is actually a good idea to give watercolor painting of a house as a gift. As you mentioned it would be a perfect gift for people who just move to the new house or for older people as grandparents. Your description of water painting is very good, I don`t know much about such painting. Thanks for sharing your idea with us! Glad to help! Thank you! I was looking for a birthday gift for mom in law next month, and I think that this will be perfect. They’ve lived in their house for over 25 years now and have recently become empty-nesters. I can’t wait to see the look on her face when she opens this. Glad to help! I hope they love the painting! I hope they love the gift, I’m sure they will! It truly is worth the money! This is one great site I can easily relate with! Being a graphic artist myself, I know what it takes to produce a master piece, especially with water color. I am a realist, and I major in pencil portraits. It takes a lot of ingenuity and hard work to create an artistic piece. And, to learn that her pieces go for less than a hundred bucks each is really a great steal. They should certainly cost more being that they are handmade and not mass-produced. It takes countless hours to bring out every detail in a painting. In my opinion, no one can actually pay the true worth of a painting. Although I have never heard of Dori, I would highly recommend her paintings to anyone looking to present a one-of-a-kind gift to a friend or loved one. Yes, she puts so much hard work into her art. Thank you for appreciating the work! What a wonderful idea to have a watercolor painting of your house. This gift is everlasting and can pass from parents to their children. I think Dori is doing a great job as the example of her work on your post looks lovely. I fully agree this is an original and personal gift which will make the receiver very happy. I’m glad you love the idea! Thank you! Hi! Thank you! This really is a great gift idea! I love paintings. And I would like a gift like this for myself! LOL. But I also know the person for whom I am buying this gift will definitely love it! And the price, as you have said is crazy inexpensive! Thank youuu for the super creative idea! It has come at a very timely occasion! Glad to help! Thank you! !